Payments2Us will not be charging anything additional for the Kleber Integration, providing organisations sing up through the AAkonsult Kleber link. If you are already a DataTools Kleber customer, then please contact info@aakonsult.com for the Kleber pricing information. 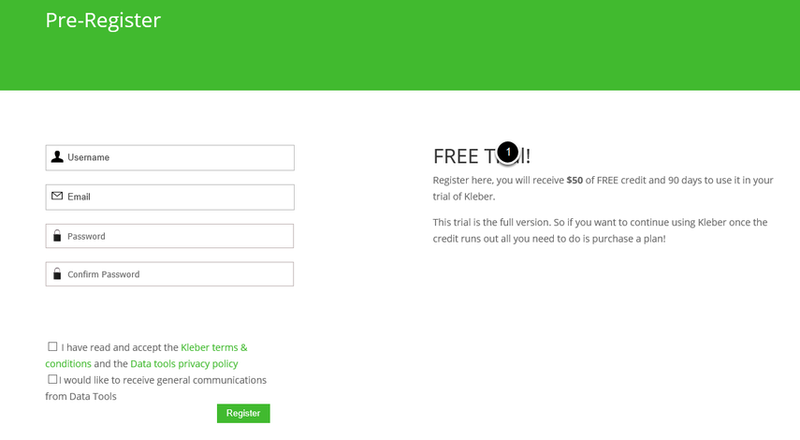 After clicking on AAkonsult Kleber link, then select the Learn More Tab, followed by "you can register here" link in the Easy to Try section. 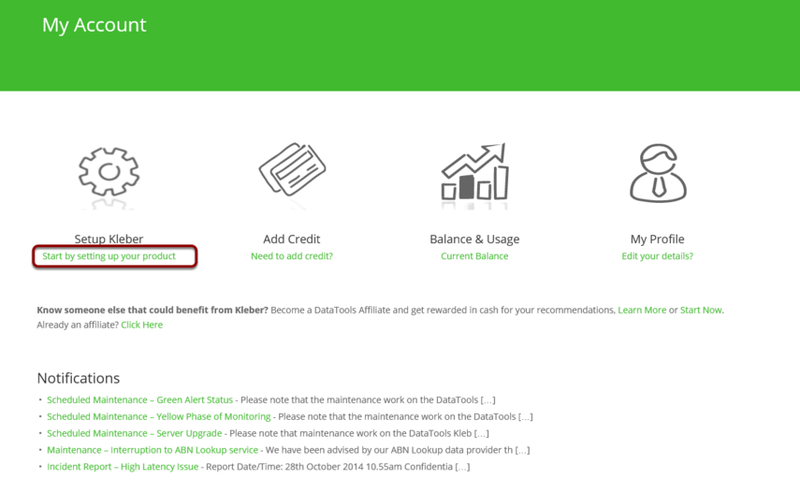 Enter your details in this and the following screen. 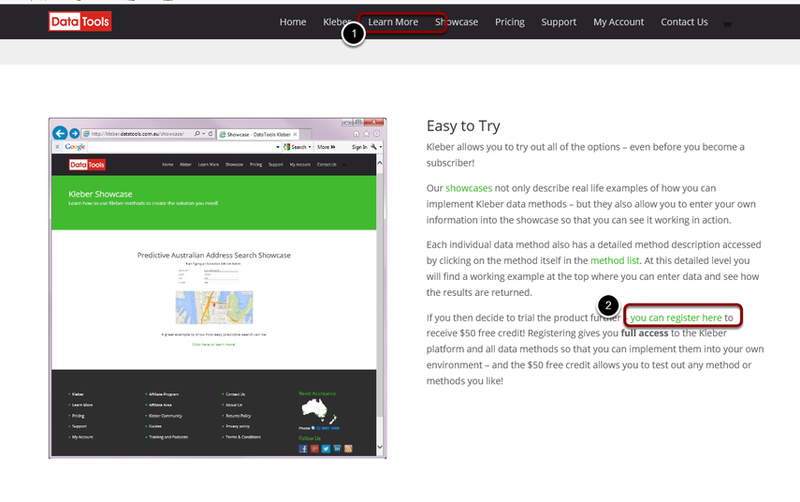 Click the "Start by Setting up your product link"
Copy the Request key as this needs to be entered into Salesforce Merchant Facility in the next step. 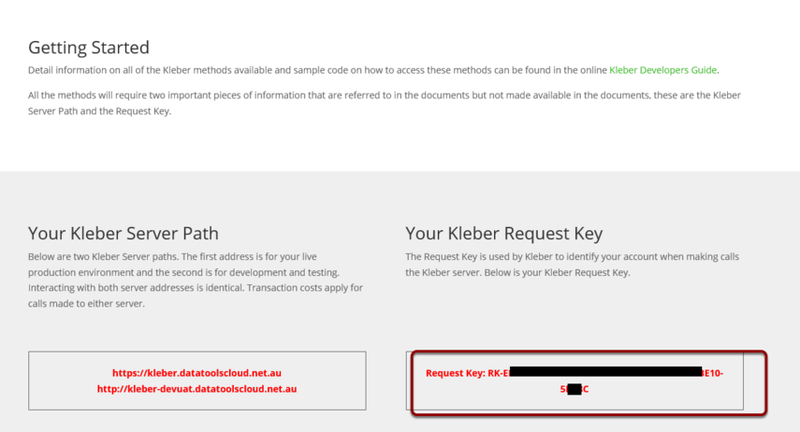 Update the Address Password/Token to be your Kleber Request key.